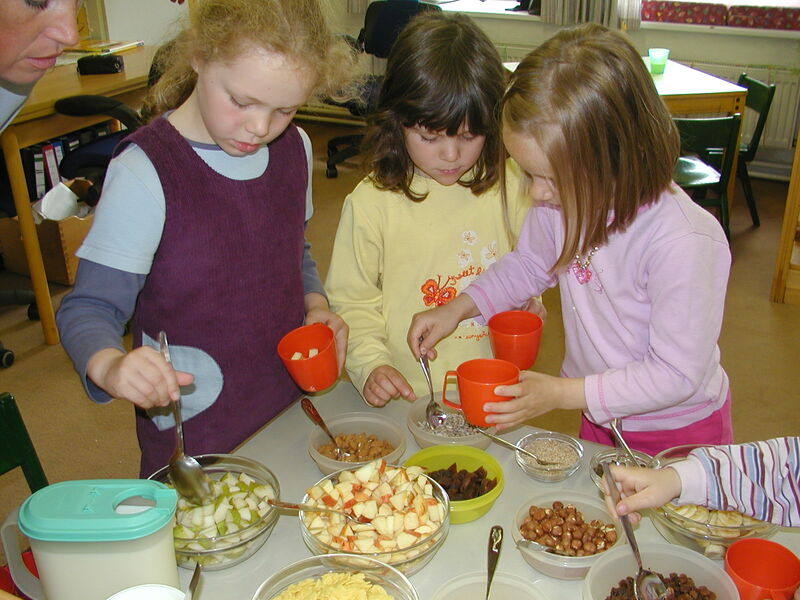 In some schools, for example in Germany, the learning place “farm” is an inherent part of the school program. There the classes have farm visits several times a year and are included in daily work on a farm. These sort of cooperation is often accompanied and supported by an association. In contrast to the half- or whole day-activities the three-steps-lessons enables the children to deal with the topic in an intensive and comprehensive way. Practically three to five days are recommended for the project three-steps-lessons. In this way new experiences can be practiced, structures on the farm can be deepen and an emotional bond to the nature can be build up. Especially in Waldorf schools (but also in public schools) there you have the farming practicum in the 9th or 10th class. There the children are 7 to 14 days with sleep over at a farm and they work together with the farmers.